Planning is well underway for the annual Cherry Blossom Long Lazy Lunch on Sunday 23rd September 2018. 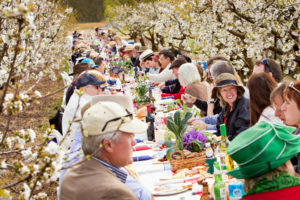 It’s an invitation to savour a long lunch in the breathtaking orchard landscape, covered in pink and white blossoms, and home to Australia’s best cherries in Cherry Capital country. 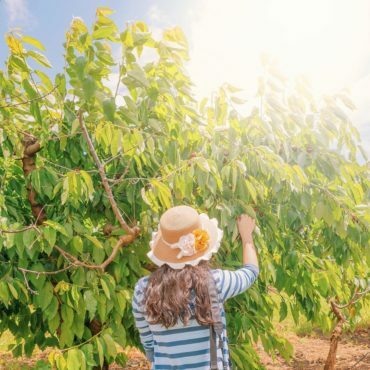 Long trestle tables, exceptional Hilltops food and wines, and the rustic charm of one of the region’s most picturesque orchards combine for a promising experience during the spring time blossoms. Part of the Annual National Cherry Festival in Young NSW, it’s a joint fundraiser for the Cherry Queen Entrants to raise funds for their chosen local charities. On Friday 21st September there is the Hilltops Wine Tasting in Jugiong from 5:30 pm followed by dinner at The Sir George. On Saturday 22nd September 2018 from 4:00pm the Hilltops Wine Growers will be hosting their annual Wine Show in the Town Hall Young. Start planning your next visit to the Hilltops Region. We look forward to seeing you soon!